With the GDPR going to be in effect May 2018, data companies are trying to ensure they comply with the EU data regulation. Mail Prospects, a leading database marketing company with its in-house 10 million data repository, announces GDPR compliance data. They also explain how sustainable marketing can be performed using data that are legitimate and do not violate EU data norms. 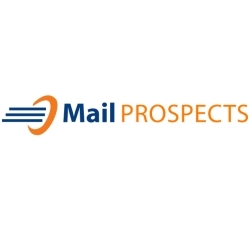 Las Vegas, NV, February 27, 2018 --(PR.com)-- Mail Prospects LLC, the top-notch provider of leading databases, email lists, sales mailing lists is glad to announce the expansion of its database. Customers can take advantage of their new business-to-lead database features and start saving time and energy finding new prospects and customers. Through their in-house online division, 2 million business data including from top technology products are now made GDPR compliance. The EU GDPR policies have taken up the entire market and each database solution enterprise has hoarded up in the race to abide by the set of regulations. Sara Diaz, Marketing manager at Mail Prospects said, “We have added new set of database for our clients to meet their specific needs. We also look forward to the continuing development of data intelligence that helps our customers to be successful." Mail Prospects has also expanded its network within database segments by reaching and collecting data from geo-locations that include Argentina, Brazil, China, India, Indonesia, Mexico, Poland, South Africa, South Korea, Turkey, Egypt, Iran, Nigeria, Russia, Saudi Arabia, Taiwan, and Thailand which are the other major emerging markets. Mail Prospects LLC has been the global forefront runner in email marketing industry. With the advent of e-commerce and B2B online businesses, sales professionals turned towards new digital media and advanced marketing techniques. Their range of sales and marketing solutions has been helping small businesses to acquire more customers and increase their consumer base. It offers lifecycle management solutions that allow database and IT professionals to design, monitor and manage data systems with complete confidence, whether in the cloud or on-premises.